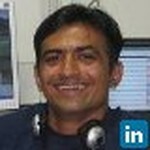 Jignesh Vachhani - Senior Software Consultant at CIGNEX Datamatics Pvt. Ltd..
Senior Software Consultant at CIGNEX Datamatics Pvt. Ltd.. I have been working since 5 years in software field and specially in open source technologies. I got exposure to work around 10-11 projects till now using liferay open source portal and still want to explore my self more toward new open source technologies available in the market. My goal is to achieve success with field in which i involved and want to put my best effort to get those successes. Working as a Sr. Software Consultant.Providing best WCM and CMS solution in liferay open source portal. Join Today to follow and contact Jignesh Vachhani.